"Everybody is working towards a better Botcherby...We need to keep giving our children the opportunity to shine. It's not always about success - it's about trying to make it as good as it can be." - Elsie Baty. Review by Steve Matthews of Bookends. In 1879, in Botcherby Nurseries on Victoria Road, they found a lead coffin. A few days later they found three more. The coffins were Roman. People had been living in the Botcherby area from Roman times and before. But Botcherby only became Botcherby after William Rufus built Carlisle Castle in 1092. One of the skilled workers brought to build the castle and construct the border city was "a Flemish stonemason named Burgheard or, in the Normanized version, Bochard". His descendants paid "6s. 2d. cornage silver" to King Henry I. Centuries later, in the years after the Jacobite Rebellion of 1745, "Botcherby was little more than a handful of houses in Wood Street and a couple more at the top of Mount Florida". Bramerton Lodge, for instance, now the home of Derek Nash, had passed through many hands. James Fairbairn, a widower and the owner of the Bush Hotel, was living there in 1805. In 1865, it was home to a surveyor and architect for Cumberland, John Augustus Cory. It was bought in 1917 by Joseph Simpson, a farmer and poultry dealer, and he was responsible for breaking up and selling parts of the property. Each street and each house has its story to tell. But the story of Botcherby is very much the story of the people who have lived there. In 1809, Margery Jackson, the Carlisle miser, went to live in Wood Street when she was 87. She went there in a horse and cart, and "beneath the straw lay her iron chest containing nine thousand guineas in gold". In 1790 Margery had rebuilt the old Botcherby Mill. In the 1820s it "was owned by a Mr Waugh who lost three pigs in the floods". Later millers were Richard Irving, W. Robinson and an employee of Elizabeth Rayson. In the twentieth century it stopped milling, became first a dairy farm and was then used as an engineering works and later for the Cumberland Tyre Company before it burned down in 1995. There was much else, of course. There was the Brick and Tile Works and the Carlisle Steam Laundry. There was the transport from the turnpike trusts to Botcherby Airfield and the huge impact the railways had on the area. Over the years, Botcherby has played its part. It was hit hard by the Great War and in the Second World War the families in Botcherby looked after evacuees and there was a prisoner of war camp at Durranhill. 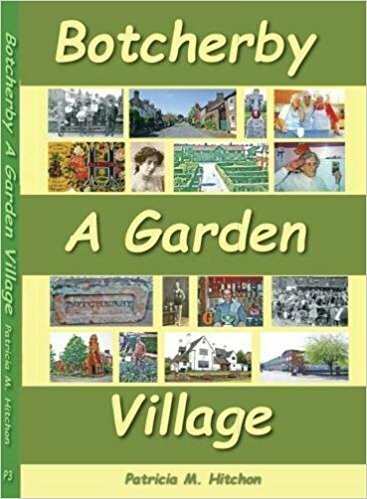 The Botcherby Gardens, once cared for by the Hamiltons, became a housing estate, and workers found their recreation on their garden allotments. Botcherby was always a community. It may have centred on the schools or the churches, on Bramerton Lodge Chapel, St Andrew's Church or St Joseph's Home or the Durranhill Convent and Lodge. Or it may have centred on the pubs, on The Plough Inn or the Star Inn known alternatively as Dixon's Arms and The White Star or on the State Management pub, The Magpie, with its fine building and its bowling green. Or the community may have revolved around the village shops or the factories. Over the years much of that community spirit was to be seen in the carnival, but it was also to be seen when Botcherby suffered from the great flood in 2005 and when Storm Desmond did its worst ten years later. Pat Hitchon, who has known Botcherby all her life, celebrates the history and the people of this special community. The book has been superbly researched. She relishes the detail of everyday life, and her words and all the supporting pictures bring the community she cherishes to life. It is a book that will delight anyone and everyone who knows Botcherby.